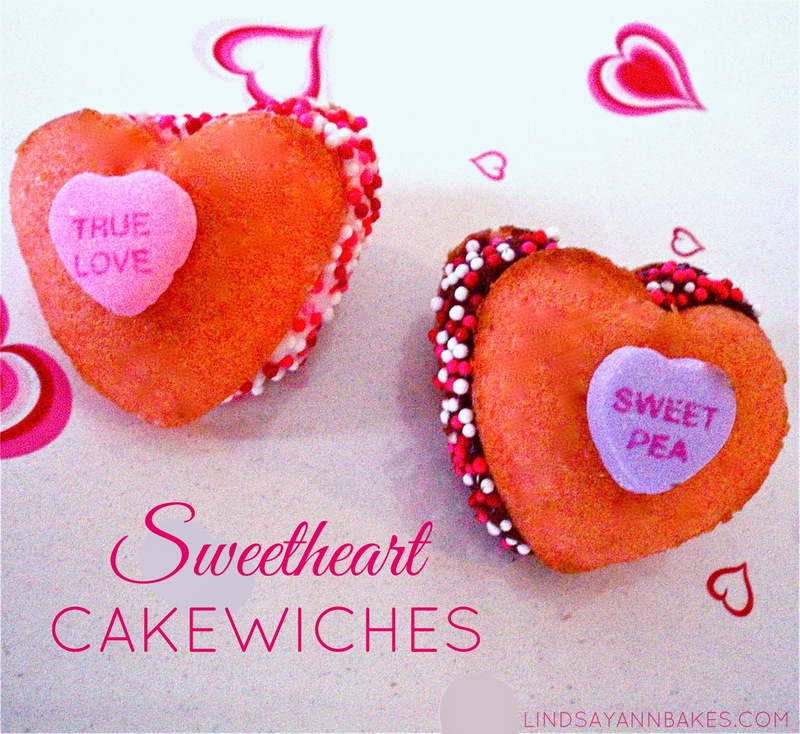 These bite sized cakewiches are a great cupcake alternative for Valentine's Day. They are perfect for sticking in lunch boxes, Valentine goody bags and more since the frosting is neatly sandwiched between 2 little heart cakes and covered in sprinkles, there is less mess than a cupcake but with all the sweetness. Tint homemade or boxed, vanilla (or white) cake batter, by adding a few drops of pink or red food coloring to the prepared batter. 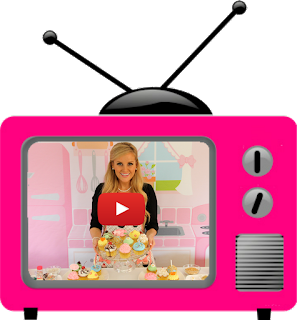 Distribute all of the batter into a mini silicone heart mold (found in local arts and crafts stores around Valentine's Day, at a cake supply store, or online) and bake as directed OR use a jelly roll pan and cut out baked cake with a heart shaped cookie cutter. Prepare a batch of buttercream frosting or use a can of store bought, and add a few drops of cherry or strawberry extract if desired. Sandwich frosting between two mini heart cakes. Roll edges in sprinkles. Top your cakewiches with a conversation heart attached with a dot of frosting. You can even package them in clear baggies tied with ribbon as gifts!